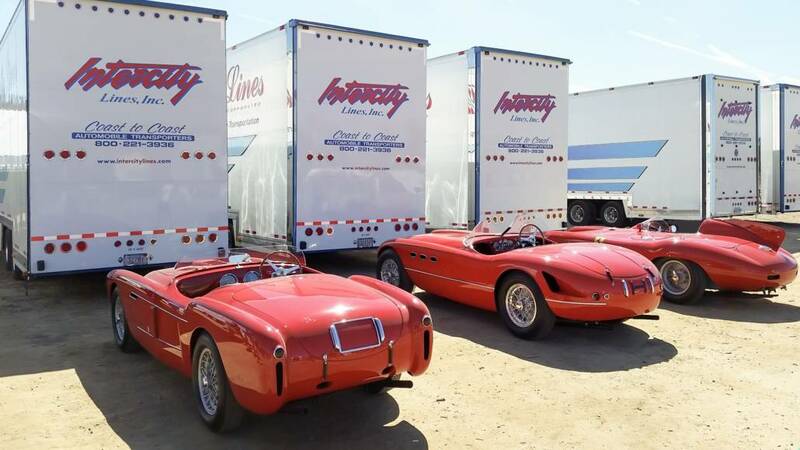 Intercity Lines is a proud sponsor of the Ferrari Club of America, and we are looking forward to helping you get your cars safely to and from the FCA 2019 Annual Experience in Scottsdale as the official auto transporter. We are a family owned business that has been specializing in enclosed auto transport since 1980. Since the beginning, we have earned the trust of countless enthusiasts, collectors, manufacturers, and dealers because of our high standards and excellent drivers. We are also trusted by Ferrari North America to transport new Ferraris to their nationwide network of Dealers. Every member of our team has the highest respect for cars and understands their significance whether financial, historical, or sentimental. We can work with you individually or with your chapter, region, or group to make getting your Ferraris to the event as easy as possible. We only offer fully enclosed, liftgate loaded, door to door transport, that is fully insured with 0 deductible to you. We also don’t take a deposit, so don’t hesitate to reach out to your dedicated Intercity Lines FCA Contact Matt Mriglot to begin setting up your Ferrari’s transport. Read Intercity Lines; Standard for Enclosed Auto Transport to learn more about our careful loading/unloading procedures. Matt is here for all of your transport needs whether it’s individual pricing, group pricing, or answering any of your questions about our services or the best way logistically to set up transport! He can be reached at Matt@intercitylines.com or 800-221-3936 x 207.